Included in the mix is the 2100m² Food Hall, where by way of exhibits and demonstrations, the entire food chain from farm field to dining table is informatively portrayed. Other dedicated halls include those relating to business, home improvements and safety and security, together with a further 4 000m² under cover devoted to a broad mix of general displays. Open site stands likewise cater for a mix of exhibits ranging from swimming pools and building requisites through to a vast array of tractors, agricultural implements and the latest motor vehicles and trucks. Also, and more recently ‘The Royal’ has pleasingly seen a significant increase in the presence of materials handling and construction equipment all indicating that the Royal affords incredible value from a corporate marketing and branding perspective in respect of capital items of note. 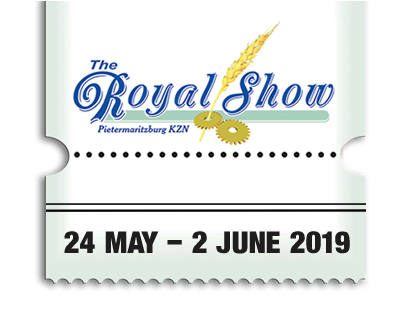 Be Part of the Royal Show! Exhibit product in a province which not only has the largest population in South Africa but also the second highest GDP and disposable income. An assurance on the part of the organisers that products of consequence will not be juxtaposed with Sunday ‘flea’ market type exhibits (which are increasingly in their own right being discouraged). And a facility which is open, friendly and relaxed with a charm and ambience all of its own!